WHY USE BRICK & CLAY PAVERS ? Paving with brick & clay pavers is not a relatively new system, it has been around for many centuries and is still a very popular material used in outdoor spaces. The term brick or clay both imply using a manufactured system where clay is gathered from the earth then hardened by traditional ovens or kilns forming a hard wearing product with natural earthy toned colours. Brick pavers, also known as block pavers is a term used to describe a small rectangular block and is often confused with house bricks that are used to construct walls. Although brick and clay pavers are normally rectangular, they also come in a variety off sizes and thicknesses to suit all outdoor areas including driveways, patios, walkways and swimming pool areas. The use of brick and clay pavers brings a natural earthy feeling to your outdoor areas. The system of laying brick and clay pavers means each piece is laid individually in segments and independent of one another making it less likely to break or crack. Further enhance the appearance of your outdoor space with a more wilderness feeling by surrounding yourself with the timeless beauty of natural stone that is extremely durable & hard wearing by visiting our natural stone in Basalt & Bluestone. For a more diverse colour palette visit natural stone in Granite. We supply quality brick & clay pavers from industry leading manufacturers. 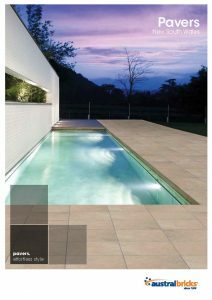 Visit our Hot Specials for further reduced factory seconds pavers in Sydney. Click on any of the logos below and follow the link to download brochures and detailed product information. Feel free to send us an email of your details for competitive pricing on other quality pavers from these manufacturers. DO I NEED TO SEAL MY CLAY PAVERS? You have just finished laying your clay pavers. Whats next – should I seal them? Answer is don’t have to seal them. Since clay pavers are pretty dense and hard they are less porous than concrete pavers and stone which makes them less likely to absorb moisture and other liquids that might stain or contaminate the surface of the pavers. 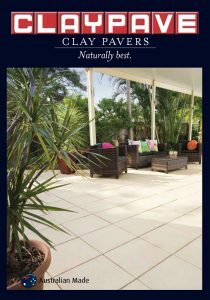 Clay pavers also wont fade in colour and the surface does not wear down as they are baked at extreme temperatures under high quality control measures. If you still want piece of mind, we recommend you use products made and tested in Australia such as Clearseal which is an easy to use, single coat water-based sealer designed to repel liquids and will assist in the prevention of moss & mould build-up. For swimming pool areas we recommend you use Synergy which is a world class combination consolidator and penetrating sealer specially formulated for superior stain and salt protection. For daily or weekly maintenance of your sealed surface, use Refresh pH neutral detergent designed to gently clean and condition floors ensuring a longer sealer life. If you decide not to seal and you wish to give the pavers a good clean after some time, we recommend you use Maestro as it will remove the build up of organic stains caused by moss, mould, bird and animal faeces. For our complete range of cleaning products and sealing products for all types of surfaces, view our complete range in Cleaners & Sealers.